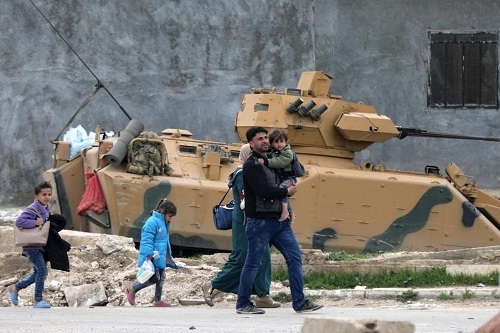 Turkish forces have been giving Syrian armed groups free rein to commit serious human rights abuses against civilians in the Syrian city of Afrin, human rights NGO Amnesty International stated, following an in-depth investigation into life in Afrin under Turkish military occupation. Amnesty’s research shows that Afrin residents are enduring widespread human rights violations, mostly at the hands of Syrian armed groups equipped and armed by Turkey. Violations include arbitrary detentions, enforced disappearances and confiscation of property and looting to which Turkey’s armed forces have turned a blind eye. Some of these groups, and Turkish armed forces themselves, have also taken over schools, disrupting the education of thousands of children. In January, Turkey and allied Syrian armed groups launched a military offensive in Syria against the People’s Protection Units (YPG), the military force of the autonomous administration led by the Syrian Kurd Democratic Union Party (PYD). Three months later, Turkey and its allied forces seized control of Afrin and its surrounding areas, forcibly displacing thousands of people who fled and sought safety in the nearby al-Shahba region where they are now living in dire conditions. According to several Afrin residents, Turkey’s armed forces have a significant presence in the centre of the city, and in several surrounding villages. On 1 July, Turkey’s Ministry of Foreign Affairs said that its armed forces will stay in Afrin to continue working on the development of the area. Between May and July, Amnesty interviewed 32 people, some of whom were still living in Afrin and others who had fled to other countries or different areas of Syria. Interviewees named pro-Turkey armed groups – including Ferqa 55, Jabha al-Shamiye, Faylaq al-Sham, Sultan Mourad, and Ahrar al-Sharqiye – as responsible for serious human rights violations. 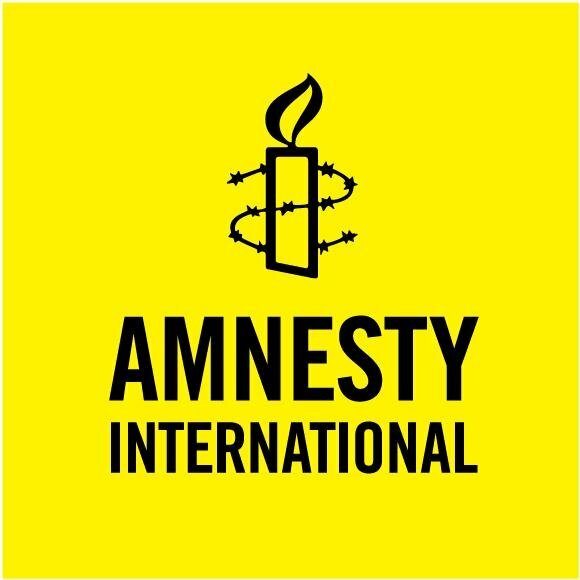 On 16 July, Amnesty communicated to the Turkish government a summary of its preliminary findings, requesting a response. On 25 July, the Turkish government responded questioning Amnesty’s impartiality without providing a concrete response to the findings. “We heard appalling stories of people being detained, tortured or forcibly disappeared by Syrian armed groups, who continue to wreak havoc on civilians, unchecked by Turkish forces. “Turkey is the occupying power in Afrin, and is therefore responsible for the welfare of the civilian population and maintaining law and order. So far, its armed forces have failed utterly in these duties. “It cannot evade responsibility by using Syrian armed groups to carry out its dirty work. Without further delay, Turkey must end violations by pro-Turkish armed groups, hold perpetrators accountable, and commit to helping Afrin residents rebuild their lives. “The Syrian government and YPG are exacerbating the suffering of people who have been displaced from Afrin, by trapping them in the al-Shahba region for no apparent reason and depriving them of adequate access to education, food and medical care. Amnesty interviewed several residents and internally displaced people who reported that armed groups had arbitrarily detained civilians for ransom, as punishment for asking to reclaim their property, or on baseless accusations of affiliation to the PYD or YPG. Local sources told Amnesty of at least 86 instances of arbitrary detention, torture and enforced disappearance. Since March, when Turkey and allied armed groups seized control of Afrin, hundreds of people have been returning to the city by foot through a mountainous route, as the YPG has blocked the official routes into the city, deliberately preventing displaced people from returning to Afrin. Many of those who managed to return found that their properties had been confiscated and their possessions stolen by armed groups allied with Turkey. Ten people told Amnesty that Syrian armed groups had confiscated properties and shops in Afrin. Displaced residents said they were informed by their relatives and neighbours that their homes were either being used by the pro-Turkey armed groups as military headquarters, or occupied by displaced families from Eastern Ghouta and Homs. Amnesty also interviewed three displaced residents who reported that armed groups had confiscated their shops. A man and his son, a graphic designer, who owned three shops in Afrin, said a relative had told them their home had been confiscated by the Ferga 55 armed group. They also received photos showing one of their shops converted into a butcher shop by a family from Eastern Ghouta. An owner of a supermarket in a village near Afrin told Amnesty that a relative had told him recently that his supermarket was first looted, and was now being run by family from Eastern Ghouta. Twelve people told Amnesty they’d witnessed or been victims of looting. Several displaced people were told by their relatives that their home had either been completely looted or were missing expensive appliances such as their TV sets, computers, washing machines or refrigerators. Since January, access to education has been nearly impossible for people in Afrin. Residents told Amnesty that since March, children had been able to access only one school in Afrin city, while Afrin University has been completely shut down after it was destroyed and looted. According to former teachers displaced to the al-Shahba region, Turkish forces, alongside allied Syrian armed groups, are using Amir Ghabari School in Afrin as a military headquarters. Amnesty reviewed satellite imagery from April showing several armoured vehicles and a recently built-up structure. These vehicles and structure were not present before Turkish forces and armed groups gained control of Afrin in March. According to local media sources and residents, Turkish forces and the armed groups converted the public school in Shara to a police headquarters in June. Turkish forces are also using another school in Jenderes as a field hospital, according to residents. Following the offensive in January, thousands of people fled to the nearby al-Shahba region. At least 140,000 people are now living in camps or damaged houses without proper access to services, especially medical care. The injured and chronically ill have to wait for government permission to be allowed access into Aleppo city, the nearest place where they can receive adequate medical care. The Syrian government has also prevented any movement from the al-Shahba region to other parts of Syria with better living conditions. This has forced many people struggling to survive to pay large amounts of money to smugglers to counter these movement restrictions. In addition, the YPG has blocked the roads from the al-Shahba region to Afrin, deliberately preventing displaced people from returning to their homes. Since the end of the military operation in March, hundreds have returned to Afrin after walking through a long and arduous mountain route. According to several people, including members of the Kurdish Red Crescent, the Syrian government has restricted the medical evacuation of sick and wounded civilians from the al-Shahba region to Aleppo. The Kurdish Red Crescent and medical staff told Amnesty that there is only one hospital and two clinics providing basic medical care and medicine in the al-Shahba region. They said that they lack both the medical expertise and equipment to perform surgeries or treat chronic diseases.